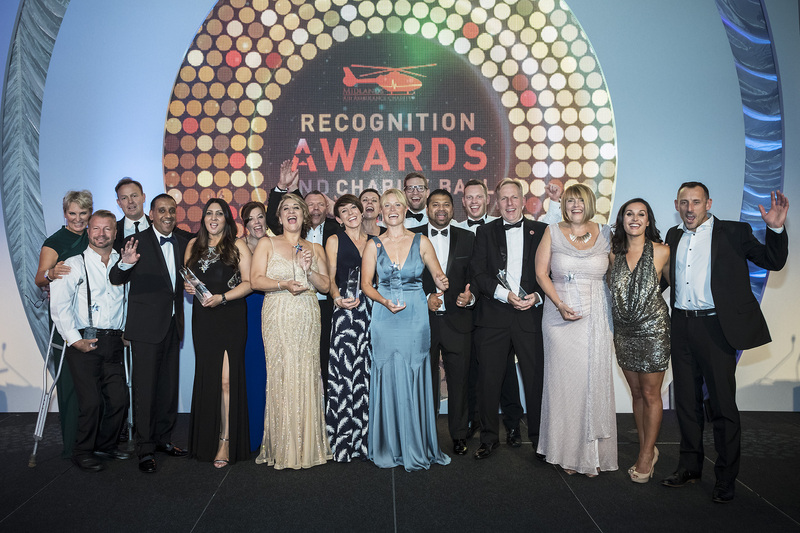 Midlands Air Ambulance Charity’s seventh Recognition Awards and Charity Ball took place on Friday (15th June), and raised over £130,000 – an incredible amount which will fund 52 life-saving missions. 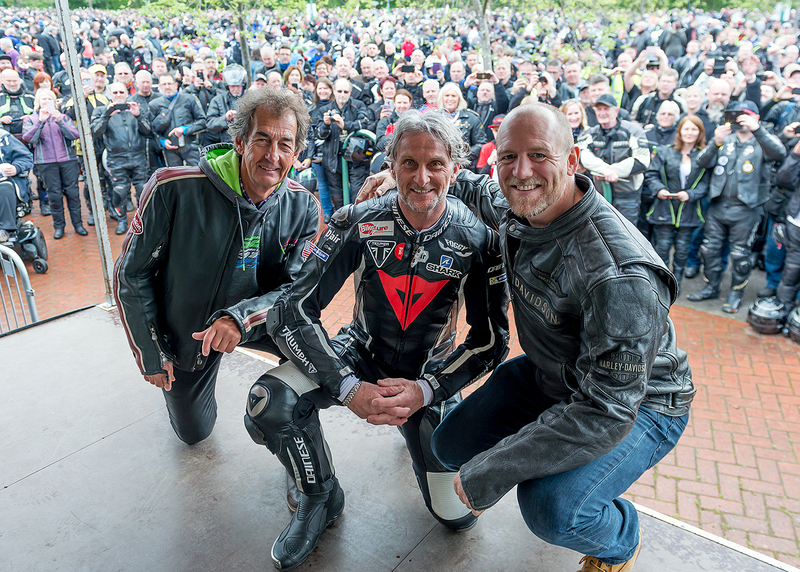 The event, which was led by TV and radio presenter, Vernon Kay, and ITN broadcaster, Nina Hossian, took place at The Vox Conference Centre, and is an annual celebration of the charity’s fundraisers, aircrew, volunteers and former patients. Family jewellers, T.H.Baker, was the event partner for the second year running, and gold sponsors included JM Bailey, Fusion Communications, EBC Group, M6 Toll, Phoenix Group, HomeXperts, McLaren Birmingham, Unity 4 and Yogurt Top as media partners. Young Fundraiser of the Year: James Williams – James, from Cannock, has supported Midlands Air Ambulance Charity for a while now, volunteering at events and even donating his 16th birthday money to the charity. Charity Volunteer of the Year: Marcus Watkin – 16 years since Marcus, from Shrewsbury, was involved in a motorbike collision, he has volunteered for the charity and credits Midlands Air Ambulance Charity with saving his life. Social Responsibility of the Year: T.H.Baker – based in Birmingham and the Black Country, T.H. 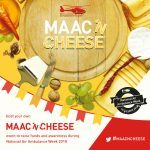 Baker prides itself on being ‘lifetime supporters’ of MAAC, fundraising for the charity since its inception in 1991. In the past four years alone, the company has raised over £50,000. Fundraisers of the Year: The Bradshaw Family – Aged just 14, Greg Bradshaw sadly lost his life after being knocked down by a car. Since then, his talented family from Stoke on Trent, have hosted a number of events and raised over £20,000 for the charity. Extreme Fundraisers of the Year: The Uptown Girls – This group of ladies from Upton-Upon-Severn did a ‘Calendar Girls’ style calendar to raise funds for Midlands Air Ambulance Charity. They sold 1,241 calendars and raised over £11,000. Air Ambulance Pilot of the Year: Captain Chris Levey – Chris, from Stafford, has been a pilot for Midlands Air Ambulance Charity for five years, and was nominated by his colleagues for his competence as a pilot and willingness to take part in fundraising opportunities. Clinician of the Year: Ian Roberts – Since starting at Midlands Air Ambulance Charity in 2003 as a member of the aircrew, Ian, who lives in Bewdley, has now progressed to air operations manager and ensures clinical and operational excellence across the three airbases. Special Recognition Award: Brendan Connor – Brendan from Warwickshire, has been Chair of the Board for Midlands Air Ambulance Charity since 2011, and has overseen many successful changes during his two terms. His commitment to the charity has been unfaltering. Inspiration of the Year: Shane, Kerrie, Lucas, Ava and Alfie – In 2014, Shane, Kerrie, Lucas and Ava, who are from Leominster, were involved in a devastating road traffic collision. This award recognises their courage and bravery in overcoming life threatening injuries, and supporting each other as a family through difficult times. Watch the family’s incredible journey here: https://www.youtube.com/watch?v=f1BmlPx6aFs. Thank you to Croft Castle and Royal Stoke University Hospital for their cooperation in creating this film. 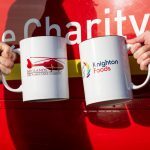 Hanna Sebright, chief executive of Midlands Air Ambulance Charity, said: “It’s been another wonderful annual Recognition Awards and Charity Ball, only made possible with the generous support of our sponsors and guests. Guests were treated to live entertainment throughout the evening from The Rat Pack Boys, The Chip Shop Boys and a DJ later on in the night. Celebrity supporters of the charity also made an appearance, including Will Mellor, Paul Chuckle, Gemma Atkinson and Gorka Marquez from Strictly Come Dancing, comedian Joe Lycett and a number of soap stars.